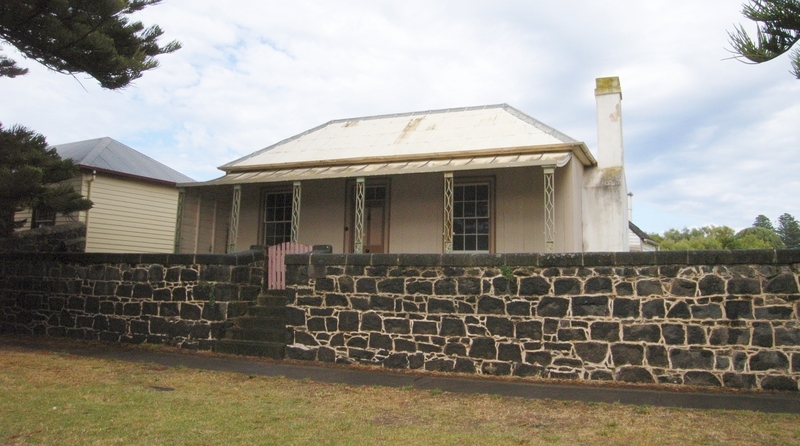 Captain John Mills' House is located on a slight rise in what is now Gipps Street, Port Fairy, the street in the town grid aligned with the River Moyne. The earliest, middle section of the dwelling, probably built in late 1843, faces the west bank of the river which was then developing as a port. The second, rear section was built before 1848. The third, front section, built in 1853, clearly addresses the formal street pattern, which was imposed in the mid 1840s. The stages of construction reflect the building techniques possible at that time and all the opportunities provided by a port. 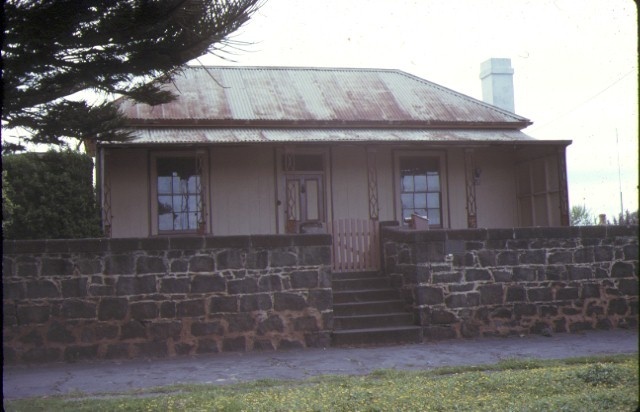 They range from the simplest timber framing with split boards, shingles and casement windows, through the relatively more sophisticated use of double hung sash windows, to the imported prefabricated structure of the front building with its sheet iron roof, cast iron columns from Sydney and verandah flag stones, possibly from Scotland. Significant early joinery and decoration, such as rare wallpapers also survive. 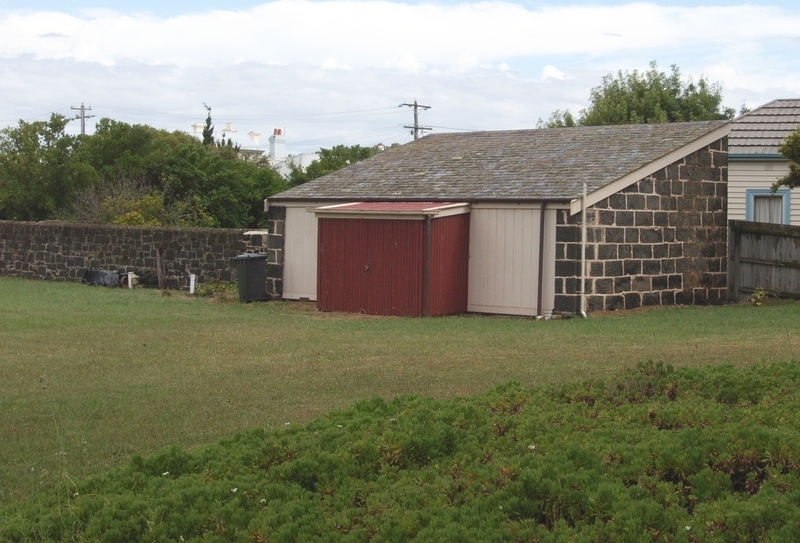 Stables were built on the northern boundary in 1859. Other minor structures and works also existed on the site. The house remains significantly intact to its late 1850s extent, is in good condition externally but only fair condition internally. 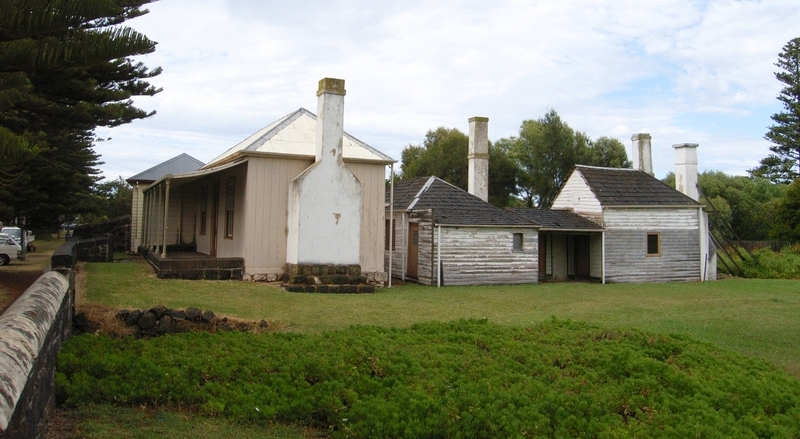 John Brabyn Mills (1809-1877) and his brother Charles Frederick (1812-1855) were, at first, sealers and whalers, but became increasingly settled at Port Fairy as a maritime trader and as a farmer. Charles was the first occupant of the house until he moved to his farm, Woodbine, in the mid-1850s. Captain John Mills was appointed the Harbour Master at Port Fairy in 1853, retiring from that position in 1871. He also held other positions of importance in the community. He occupied the house from the mid-1850s until 1871. The Mills family sold the property in 1909 to their neighbour, James Bragg, a carrier. It remained in private ownership until 1984 when it was presented as a house museum. It was then purchased by the State because of its significance. 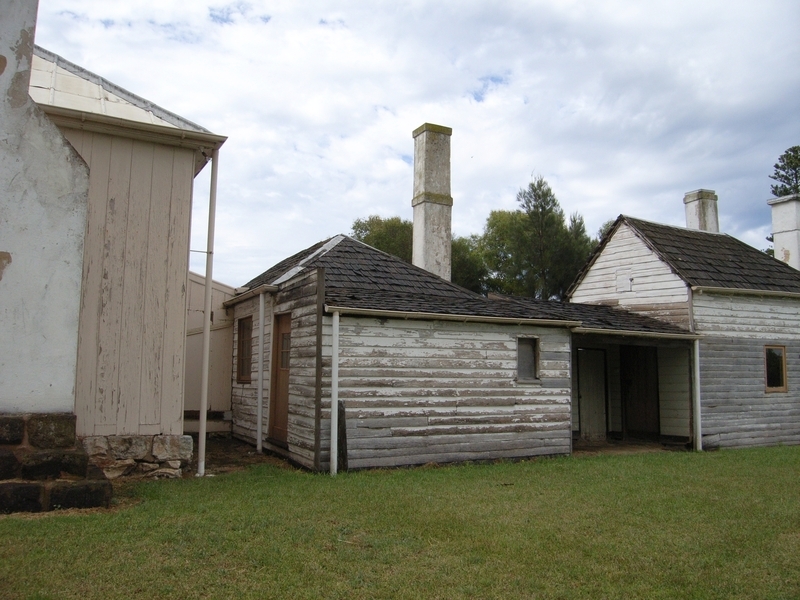 Captain John Mill's House is of scientific, aesthetic, architectural and historical significance to the State of Victoria and to the nation of Australia. Captain John Mill's House is important as, in its earliest part, one of the oldest surviving timber structures in Victoria, for its sequence of development and for demonstrating a range of early building techniques and materials. These are important for reflecting the special nature of Port Fairy, also known as Belfast, as one of the busiest ports in colonial Victoria. It is also important for its representation of the pioneering mariners, John and Charles Mills and their families, especially John Mills in his authoritative role as Harbour Master. Borough of Port Fairy. No. 253. 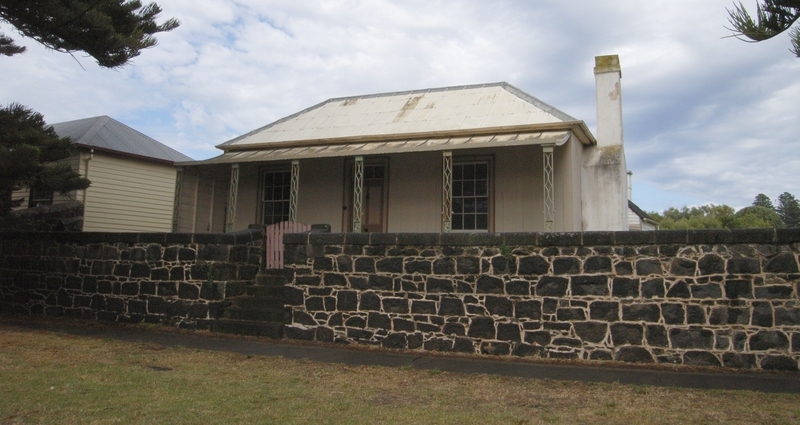 Captain John Mills House, 40 Gipps Street, Port Fairy. REHABILITATION OF THE FABRIC. OF NATIONAL IMPORTANCE. The purpose of permit exemptions is to allow works that do not impact on the significance of the place to occur without the need for a permit. Given the significance of this place and its fragility, it is most strongly recommended that there are no permit exemptions. All works should require a permit from Heritage Victoria. (Other permits may also be necessary from other statutory bodies, such as the Shire of Moyne.) If any doubt exists as to the need for a permit, the owner should contact Heritage Victoria or its representative, usually the local Heritage Adviser. The 'Amended Draft Conservation Policy, 1986' included as Appendix B in Lewis, Miles, The Mills Cottage, a consolidated conservation analysis (2001) should stand in lieu until a Conservation Management Plan has been completed. consideration should be given to the removal of the Coprosma repens (an historical species but also now a declared noxious weed) and its replacement with a suitable alternative.